Claire Tomalin, a biographer of Dickens, agrees. ‘They don’t have the attention span any more. It’s all that happy slapping and LOL cats, probably. They can’t stomach a good four hundred page marathon full of loose, baggy prose and sentimental characters.’ When asked if she was aware that many of Dickens’ stories were serialised in the first place, and therefore read in short bursts, she pointed to the badge on her lapel that read ‘Charles Dickens #1 Biographer. 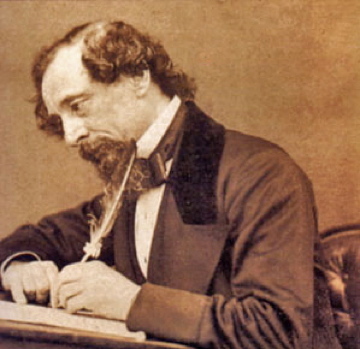 Charles Dickens is 200 years old, and is a dead white guy who wrote very long text messages and wasn’t on Twitter. *with thanks to the masterful Peter Serafinowicz, showing how Dickens can still be integrated with a healthy, nutritious education.